Car washes are frequently the scene of unintended acceleration cases, like one in Mansfield, Ohio, last week. Police said an employee of the Park Avenue Car Wash was behind the wheel when a 2008 Mercury Grand Marquis crashed through the car wash door, careened across the street, and crashed into a church. A similar incident at the car wash occurred in 2007, when a car smashed through the building and hit a house across the street. 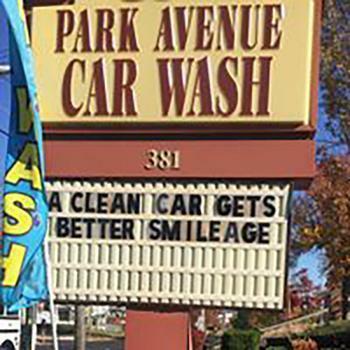 In both cases, car wash employees said the accelerator pedal stuck. Car washes seem to attract unintended acceleration cases. Jeep Grand Cherokees, in particular, have been involved in several similar incidents at car washes and elsewhere. But while the problem is not unique to car washes, it does seem to occur more regularly in certain models, including the Mercury Grand Marquis. The National Highway Traffic Safety Administration (NHTSA) database contains numerous incidents for Grand Marquis models from the 2006 through 2010 model years. In August 2013, a consumer in Stow, Mass., filed a NHTSA complaint saying that while reversing out of the driveway, "car accelerated on its own, pressed brakes but car still moved backhards ... threw car into neutral and turned off engine." "Took car to dealer .. and was told that it may have been that I pushed the brake and gas pedal at the same time. This, however, is I believe not the case," the consumer said. Other reports tell of similar incidents and of assurances by the dealer that it was probably just human error. A motorist in Hawaii reported wrecking a 2008 Grand Marquis during a test drive. "I was preparing to test drive a 2008 Mercury Marquis at Honolulu Ford. I was stopped at the exit ... when the engine accelerated. I looked down and my foot was not on the gas, it was on the brake," the consumer said. "The car started to move out into the street, crossing the road, hitting another vehicle and a light pole." Unintended acceleration cases have been around since the first time humans tried to ride horses but, at least in cases involving cars, answers have been hard to come by. Toyota famously recalled millions of cars to adjust floor mats that were blamed for sudden acceleration incidents, but there have been few other cases in which there was any agreement on the cause. Federal safety officials have never identified a cause for the vast majority of the incidents and have therefore pinned the blame on drivers, although juries have often disagreed and sided with accident victims in cases like a 2012 accident involving a Ford Ranger pickup. Ford blamed the driver, saying he was old and confused but the jury concluded that the truck's accelerator assembly was faulty and awarded the plaintiff $3 million. Some critics are convinced that most of the problems originate in the electronic control modules that are the brains of modern cars. Others blame driver education that teaches drivers to use the same foot to operate the accelerator and brake pedal. Purists say we'd all be better off if everyone drove a stick shift. Besides eliminating unintended acceleration, it would make it nearly impossible to fiddle with handheld electronic devices while driving.